There is nothing more powerful in heaven or on earth than prayer, and so there is nothing more necessary than prayer. This simple truth can stand for the core conviction of St. Alphonsus’ spiritual wisdom. In an age wracked by the pessimism and despair of both the Protestant and the Jansenist heretics, St. Alphonsus proclaimed the mercy and the love of God in conjunction with the omnipotence of prayer. Against the double predestination which was so ruthlessly formulated by Calvin, St. Alphonsus insisted that the grace of prayer is given to all men and that, by prayer, every other grace (including the grace of salvation itself) is easily secured. Against the Jansenists and rigorists of his day, St. Alphonsus proclaimed that even the most difficult commandments are easily fulfilled, if only we ask God for the grace through prayer. All who fall into sin, fall simply because they did not pray. Whereas, all who persevere in grace, persevere not because of their own strength, but on account of the power of prayer. 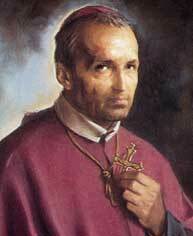 How important St. Alphonsus’ doctrine is in our own day! We too begin to doubt the necessity and the power of prayer. How easy it is for us to forget to pray or to think that prayer is merely something “sentimental”. Without daily prayer, we will surely be damned. But with prayer, our salvation is secured. Apostasy is the only sin which severs the life of faith completely. Every other sin, even mortal sin, while injuring or destroying the bond of charity, does not remove faith. Thus, the sinner in the state of mortal sin (excluding apostasy) is still united to the Body of Christ through faith, though this union is in no way salvific, since the faith is dead (lacking love/charity). In his commentary on this passage, St. Thomas sets forth the three principle causes of apostasy. The Fathers of the Church, and St. Thomas Aquinas following them, see in this parable a strong teaching of social justice. Their teachings have in turn been integrated into the Social Doctrine of the Church. Here we will consider St. Thomas’ exposition of the doctrine as well as several important quotations from the Church Fathers. The Trinity is "Our Father"
Though it might at first seem odd, we must admit that the “Our Father” prayer refers to the whole Trinity, Father, Son, and Holy Spirit – the Father is “Our Father,” the Son is “Our Father,” and the Holy Spirit is “Our Father.” That being said, “Our Father” refers in a special way to God the Father; not, however, so as to exclude the Son or the Holy Spirit. 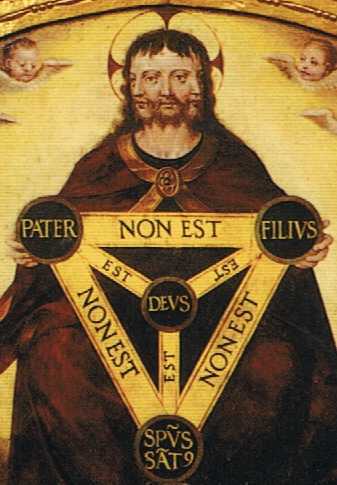 First, if you remember your catechism, you will recall that “everything [in the Trinity] is one where there is no opposition of relationship” (Council of Florence, cited in the Catechism of the Catholic Church 255). This means that everything that the Father is, so also is the Son, excepting that he is not the Father. So, as the Father is God, so too the Son is God. As the Father is the Creator, so too the Son is the Creator. Moreover, as the Father is worshiped, so too the Son is worshiped. This means that whenever we pray to the Father, we also pray to the Son and to the Holy Spirit. For the three are equal in all things, excepting that one is the Father of the Son, one is the Son of the Father, and one is the Spirit of the Father and the Son. What does this mean for us? It means that whatever we say of God the Father, we also must say of God the Son and of God the Holy Spirit (excepting their Trinitarian relations). So, if we pray to God the Father, calling him “Our Father;” we also invoke the Son, calling him “Our Father.” For “Our Father” is first and foremost the Blessed Trinity, who created us and redeemed us. 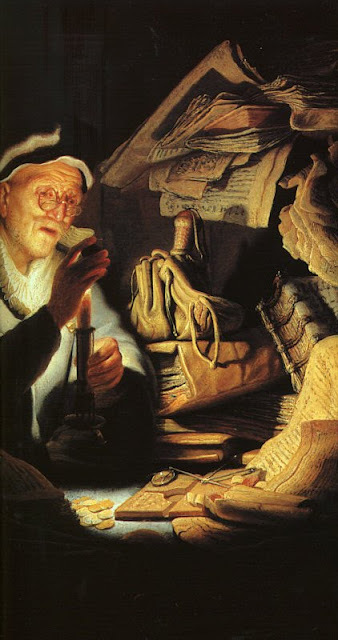 Still, it is also equally certain that, by a certain fittingness we invoke God the Father in a particular way when we pray, “Our Father.” For, although “the personal relation of the Son to the Father is something man cannot conceive of nor the angelic powers even dimly see … the Spirit of the Son grants a participation in that very relation to us who believe that Jesus is the Christ and that we are born of God” (CCC 2780). The whole Trinity is “Our Father” and, through the redemption won for us in Christ Jesus, we participate in his Divine Filiation as sons in the Son. As this great saint has been so sorely abused by deceitful and cunning men - whether in the "scholarly world" or in the popular media - it seems fitting that, on her feast day, we should show her some special honor and devotion as a small act of reparation. 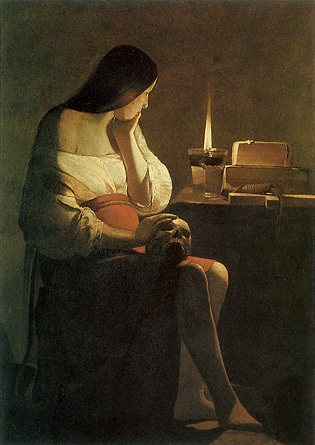 Below follows the "Litany to St. Mary Magdalene" which, as you will notice, follows the Latin tradition of identifying her with the penitent woman and with Mary of Bethany. St. Mary Magdalene is often, at least in the Western tradition, connected with the “sinful woman” of Luke 7:36-50. 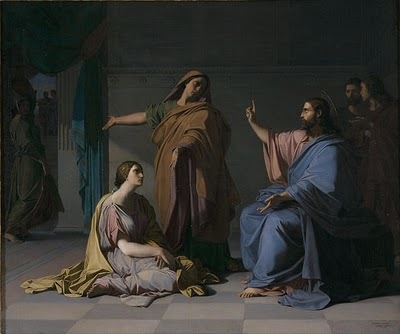 Though she is not named in these verses, St. Luke immediately follows the sinful woman’s conversion story with a list of the women who accompanied the Lord. 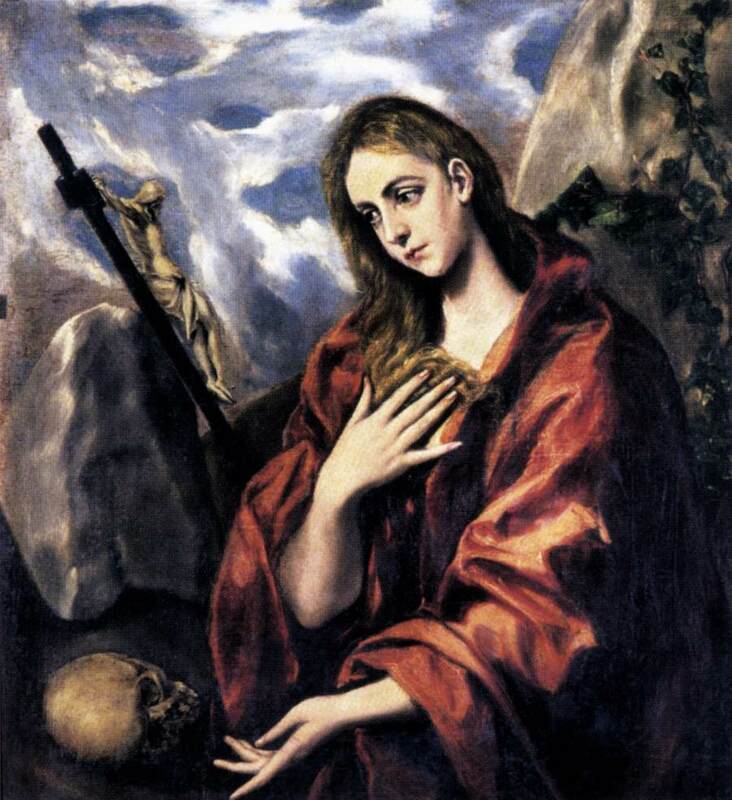 Among these women is “Mary, called Magdalene, from whom seven demons came out” (Luke 8:2). Following the Latin tradition, St. Thomas offers to us several interesting aspects of the conversion of St. Mary Magdalene. His words will help us to understand her conversion within the broader context of the spiritual life. 1) The (often hidden) movement of grace which disposes the sinner for conversion. 2) Actual contrition: sorrow for sin, purpose of amendment, and the desire to make satisfaction for sin through penance. 3) Absolution and restoration to grace. The episode of Martha and Mary is probably the most well known story of the two women. 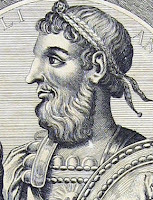 Moreover, it is also most likely the most well known dinner party our Lord attended (presuming that the wedding feast in Cana was much more than a simple “dinner party”). The final phrase of the Gospel account – “Martha, Martha, you are anxious and worried about many things. There is need of only one thing. Mary has chosen the better part and it will not be taken from her.” – led many of the Church Fathers, and also St. Thomas Aquinas, to consider the relation between the active and the contemplative lives. 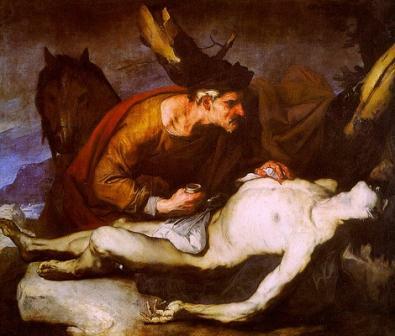 The Parable of the Good Samaritan contains the narrative of salvation history, beginning with the Fall of Adam and continuing through the founding of the Church even until the Second Coming of our Savior and the Day of Judgment. The following interpretation is based on the Catena Aurea of St. Thomas Aquinas (Luke 10:29-35). 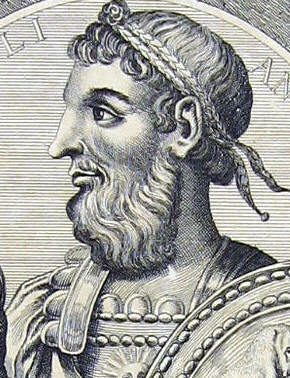 A man, this refers to Adam (the name means man). Fell victim to robbers, this is the fall of Adam, which was hastened by the temptation of the evil one. Likewise, all who have sinned since Adam, fall to the temptation of Satan and his wicked angels who are robbers. Adam is said to have fallen as he went down from Jerusalem to Jericho, for Jerusalem is a symbol of paradise, Jericho a symbol of the fallen world. Jerusalem is a sign of sinless-ness and immortality, Jericho signifies mortality and death. Adam first turned away from God, thus he was unable to resist the temptations of the evil one.